Evidently the pizza doesn't actually look like this. With the Cronut burger and that feisty ramen burger, ground beef pressed into patties is once again part of the global dialogue. Thank goodness for that because a day without discussing something burger-related is a sad day indeed. Speaking of, here is a pizza quite literally stuffed to the brim with cheeseburgers. 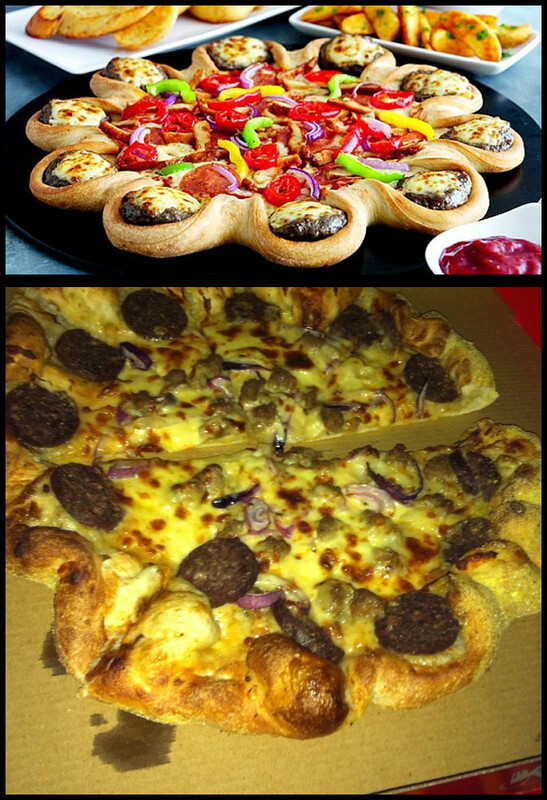 It comes from Pizza Hut UK and it's appropriately named the Cheeseburger-Stuffed Crust Pizza. You know how Pizza Hut likes to hide cheese everywhere, usually in the crust? It's like that, but with miniature cheeseburgers. To complete the baffling package, each pie comes with a side of ketchup for dipping. This collision of culinary worlds is a limited time affair, and will probably never fly its way across the pond to North America. A continent can dream, though. A continent can dream.